Just in time for the weekend! 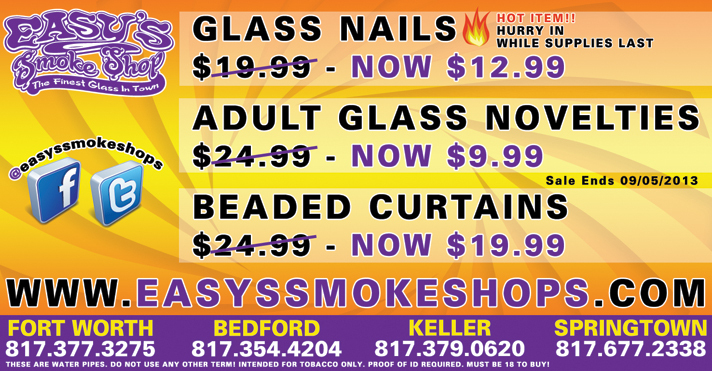 Glass Nails $12.99, Adult Glass Novelties $9.99 and a very unique supply of Beaded Curtains for only $19.99 each. Come in today and see why Easy’s is the best smoke shop in DFW. Sale ends 09/05/2013.